The Spartan CQB tool is aptly named and specially designed for Close Quarters Battle. 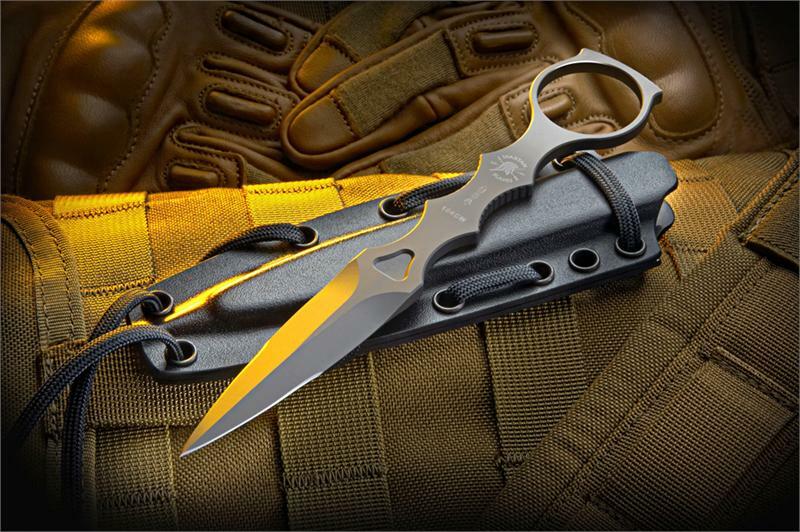 The CQB tool is a ring dagger with a kydex sheath. The sheath compliments the ring on the end the knife for quick removal. The sheath is designed to lash into MOLLE /PALS behind magazine or other front pouches on a vest or be carried on belt or inside the waist band. The design concept of the CQB tool originates with Greg Thompson, an instructor of close quarters fighting techniques (Hand To Hand) for the US Special Forces. Mr. Thompson is owner / founder of the H2H/Team ROC of the Fort Bragg based training group and developer of the Special Operations Combatives Program (SOCP). Mr. Thompson developed the new combatives program for US Army Special Operations Forces and this CQB tool is part of program gear. 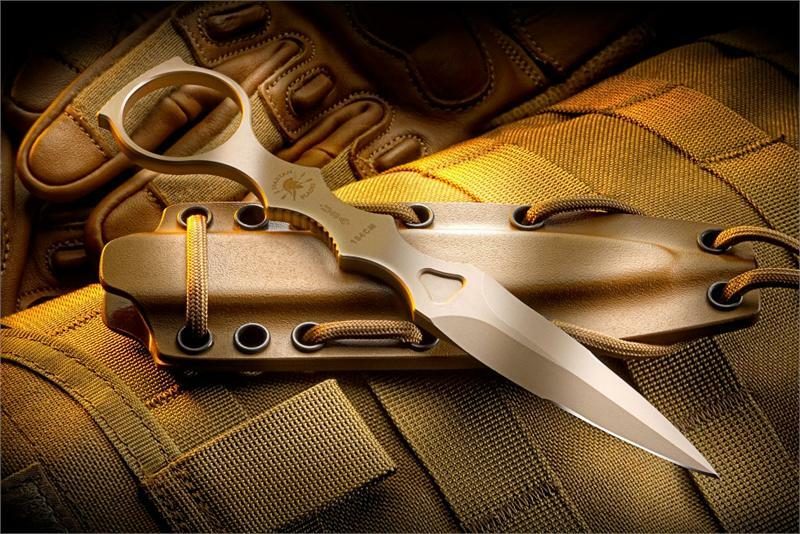 The CQB Tool or "transition tool" is used to compliment this program by providing a slim easily stowed knife with rapid aquisition for, "get the heck off me", grappeling situations encountered in a CQB fight. The ring and slim profile design allows for the operator to quickly pull and utilize the dagger; breaking an attackers grasp and allowing the soldier to transition back to his primary weapon system without resheathing until safe to do so."